Wow. I'm back from the Festival Of Quilts and things are slowly, slowly getting back to normal around here. I've been completely and utterly consumed by preparations for the show for months, literally months... So I have a strange feeling of relief, sadness (that it's all over) and excitement; to make arrangements for the 'next one', focus on things that did work - and didn't work and get back to other projects I've had on hold. I've laughed that my catch phrase recently has been "once the show is out the way I can …"
I won't completely bore you with all the details of my meltdowns and last-minute panic preparations before the show, but let's just say it was a late and stressful departure leaving Cornwall the day of booth set-up, with quite literally - our clothes in a bin bag! Haha! 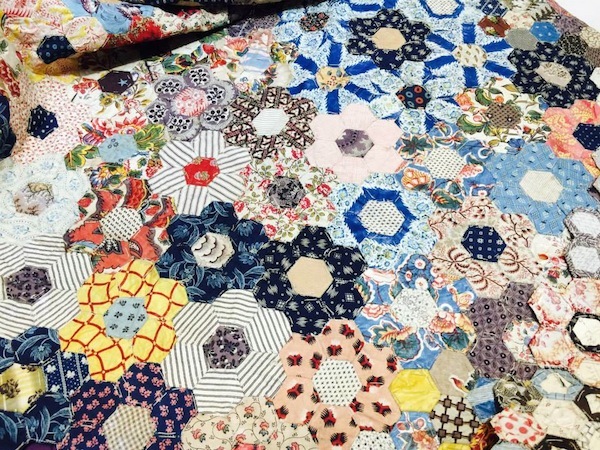 Since I've never done a show, let alone one the size of the NEC - or even visited a quilt show until earlier this year in Nantes, it was all completely new to me. Even though I'd done lots of research etc, the basic things like nailing things to the wall, signage, price lists etc etc was a major learning curve. So I'm quite proud of myself that I managed to get through the whole four days, without a major spanner in the works. There were of course lots of, "why didn't I think of that?" or "why didn't I get a racking system for the wall instead of loads of annoying boxes for my English paper pieces!?" and "why did I run out of time so I didn't laminate my price labels"? Oh well. Plus I can be hugely shy, so talking to new people and selling are not usually my strongest skills - though, I think I must have been running on adrenalin because I didn't stop talking the whole weekend! I'm not sure what it was, but I had a burst of energy that kept me going, smiling - and standing! the entire time. Really I just wanted to stop in with this blog post to say a HUGE thank you to all of you that stopped by, introduced yourself, gave me a compliment for my booth, said they follow my blog or Instagram - or purchased something! Really it was so brilliant meeting new people and people I've known online, and talking quilts in 'real life', and not just through a computer screen. If anything has come out of this show, it's for me to get back to blogging. I've missed it. The only snag was being chained to the booth so I didn't get to see any of the show! 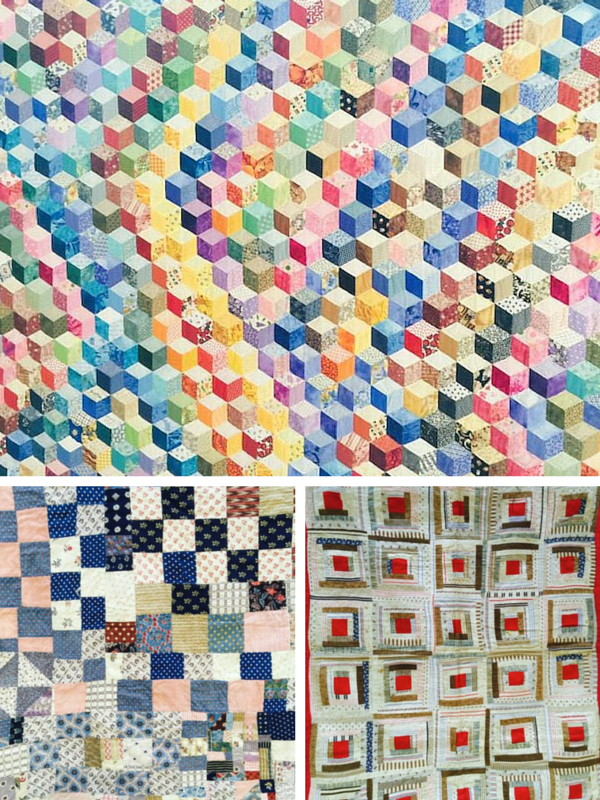 I did a five-second pit stop at Petra Prins, because I adore all their reproduction fabrics and quilts so I picked up 3 FQ's, and made a trolley dash to snag a Liberty FQ from Alice Caroline too. I'll have to plan out my time more carefully next time. I was also located in a great place, although I didn't have a coveted 'corner booth' I had super nice neighbours! 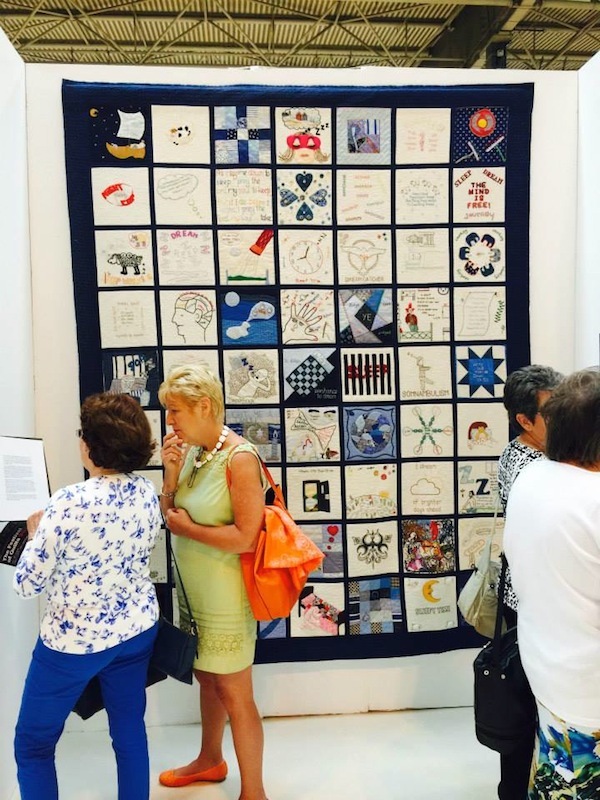 There was an incredibly nice French couple; Isabelle and Michele next to me from L'Aterlier D'Isabelle, she was lovely and gave me lots of tips as they are regulars at quilt shows all over the world. I was opposite Tulip needles, which happen to be the needles I stock at Sew and Quilt (which are really brilliant btw!) 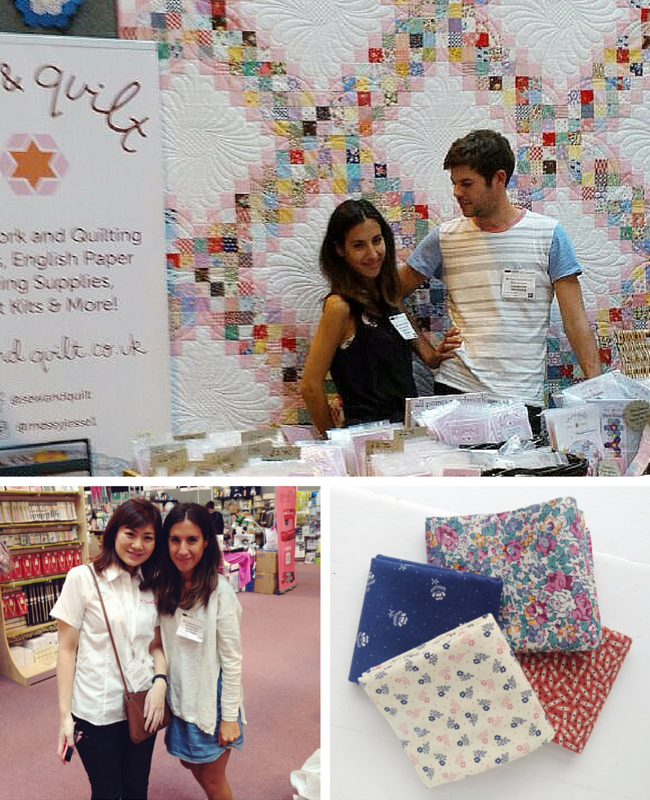 so I met my supplier, Yuko! We've been in contact for a few months and it was so nice putting a face to emails, she was so sweet and was clever to remember to take a photo of us together! 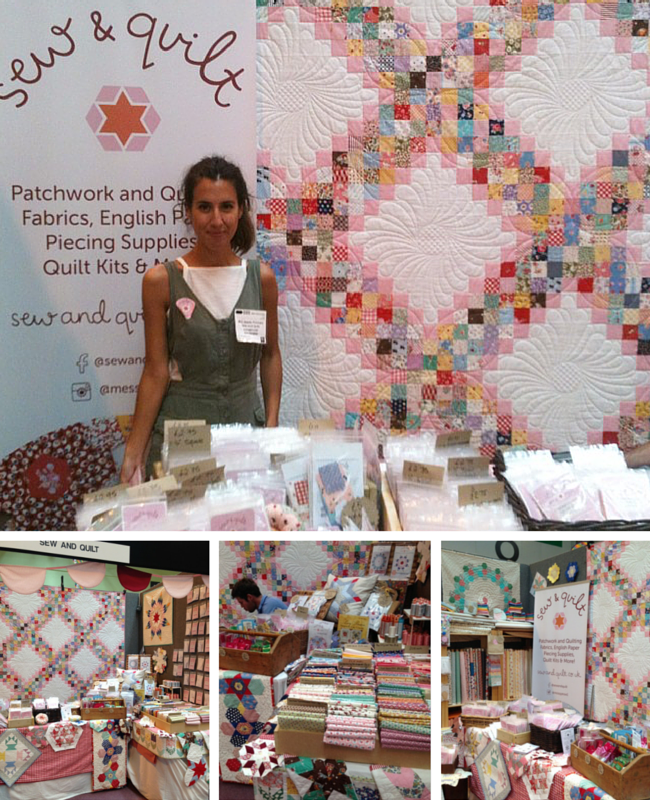 I was also next to Lady Sew and Sew who had a big booth, and although I didn't speak to them personally, I chatted to the nice girls from Coats (who were apart of their stand) and as well I met the lovely Angela again from Sizzix, who was on the same stand and doing demo's. I also have to give a shout out to the amazing Justine from Simply Solids, we've met once before at Fat Quarterly retreat and stayed in touch through IG. She was so, so helpful and even stopped over to check on me in the stand a few times throughout the show. I met her co-owner Lisa too, lovely ladies indeed. Their stand looked incredible and I had major booth envy when I saw it during set-up! 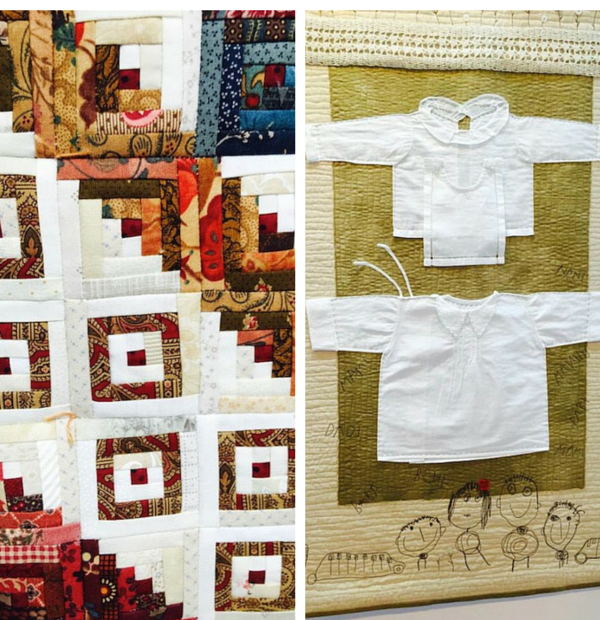 So here's a little bit of quilting eye-candy from the show, I've used these pictures with permission from Sally Snushall from Needle & Thread Workshops, who I met at the show. If you're near the Lincoln area you must go it looks fabulous! I wish I could have seen some of these, they look incredible! 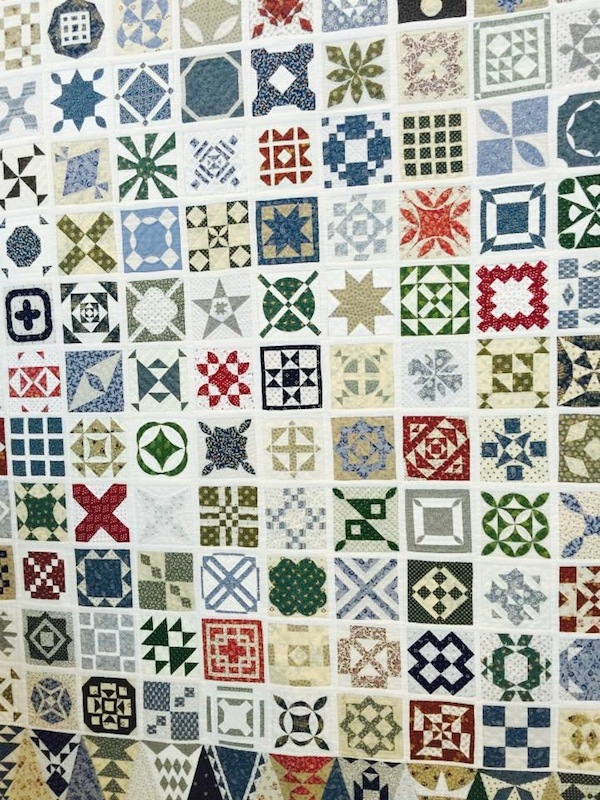 I know the Quilter's Guild had a small collection of antique quilts on show, which I think a lot of these images are from. I was also wanting to see the collection by Fine Cell Work, which are a brilliant charity, if you haven't heard of them before. 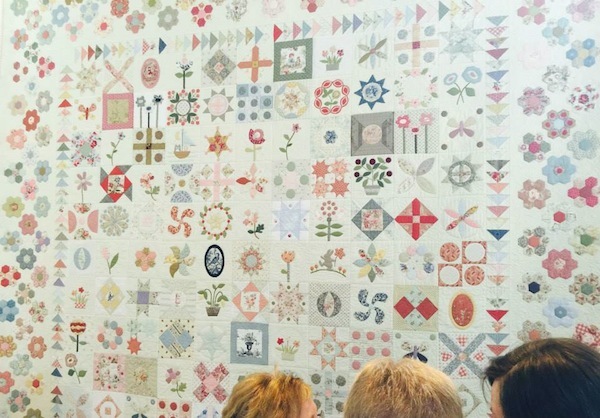 Volunteers (mostly from the Embroiderer's and Quilters Guild) go into prisons in the UK and teach prisoner's fine needlework skills which they can do in their cells for long hours. Prisoners are paid for their work, (and learn new skills/qualifications which they can use after release) which is then sold around the world. Really good work, for an often forgotten about part of society. You'd never have guessed you were shy at all! I was there on Friday and met your mum/auntie - not sure which but she was lovely!! Couldn't make the show but glad you enjoyed the event and survived! Thank you Lyn, yes it was a tough few days and hopefully after sales will help it all pay off as well :-) I hope you can make it next year. Your booth looks absolutely beautiful! Congratulations for a wonderful show! It was so fun to follow along on IG, too! Loved reading this--thank you for sharing your struggles as well as triumphs. Shows can be a beast. Best of luck with your new venture!